NBC's new family drama premiering March 19, 'The Village,' has been perpetually compared to 'This Is Us,' but no one seems to mind. Though it may look like the same emotional formula has been employed by 'The Village,' thriving on conflict and trauma, there are a couple of aspects that strike as something refreshing. Examples include the portrayal of war veteran Nick Porter (Warren Christie), as he navigates his post-war life and settles into a family, and when Gabe (Daren Kagasoff) dumps a mean girlfriend to give his granddad a home. Soaked in saccharine opera, like that of 'This Is Us,' but having its own identity, 'The Village,' is a heart piercing, cliched drama, revolving around the residents of a building, where smaller families come together to form a larger one. With the pushed-back premiere, and with ample teases and trailers, here's what you can expect from the show. On Tuesday, 10 p.m. ET, be ready with tissues. It may come in handy, or it may not. The first person you will meet is a young teen girl named Katie (Grace Van Dien), who sneaks out of her Brooklyn apartment building called 'The Village,' to protest a construction. But instead of doing it vocally, she fights with art, creating a crochet heart on a fence and making the world pause for a bit. 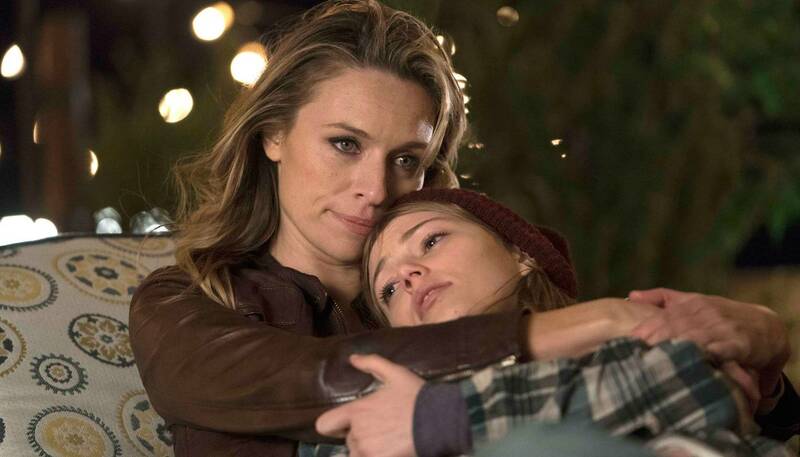 Ending up getting arrested, her mother Sarah (Michaela McManus), who is a nurse and a single mom, comes to rescue her from jail and grounds her, only to be told later that Katie is pregnant. Sarah too was a teen mom, who missed out on her life for the sake of her daughter, according to Katie, so there's a lot Sarah needs to do to prove to her daughter that she wasn't the reason why her life is the way it is. Hence, Sarah manages to bring a date to one of the usual evening gatherings of The Village's residents on the rooftop. The prime reason for the rooftop party is to welcome Nick Porter, who moved into the building. As a war veteran, who's lost his limb in a war, the fellow residents bestow him with a lot of respect (but they get the American salute wrong), and he is even spared of paying rent. Instead, he just needs to help the building superintendent, Ron (Frankie Faison), with his underground bar, which is a failing business. But Ron couldn't care less. As a happy-go-lucky-man and in love with his wife of over 5 decades, Patricia (Lorraine Toussaint), Ron is content with his successful marriage and harmonious residents of the building. However, Patricia has her own secrets. Diagnosed with cancer in the very first episode, the onset of eventual heartbreak is thrust upon. So, yea, tissues may come handy here. In keeping with issues of modern-day America, we have Ava (Moran Atias), who is arrested at the doorstep of her house in front of her son in the very first episode. Her innocence is quickly validated, but not without a fight. Ava is supported by her neighbors; Patricia, Gabe and, in particular, Ben (Jerod Haynes), a New York City cop. Enzo (Dominic Chianese), who is at a nursing home where Sarah works is Gabe's grandad, and his life is quite miserable there, especially after his best friend dies in the opening episode itself. With YOLO on his mind, Enzo goes on a trip with his friends to explore the joys of amusement parks. His storyline is perhaps what will bring a smile, if not anything else, and you may need a tissue here. When it comes to the bond of Sarah and Katie, it's pretty confusing, to say the least. It's profound, no doubt, and Sarah's love for Katie radiates in actions and thoughts and dialogues, but it gets a bit too intense and cliched, especially when she narrates why Katie is the most radical thing that happened to her..., because 9/11. "I kept seeing those towers fall on the news. People so scared they were jumping out, and I couldn’t get out of my head that I needed to do something radically good in their memory." This is followed by telling Katie, after she grounded her for weaving the crochet heart and getting arrested; "I didn't know how to crochet a heart so gave birth to mine." Yikes! Moving on, and with the nearing premiere, you may wonder how the show will establish a connection with so many characters. Well, the show tries. In fact, it tries so hard, sometimes the dialogues come across as too obvious, and so does the plot. But you can pretend to be surprised, for what it's worth, the tissues may come in handy, for better or for worse, for tears or for laughs.